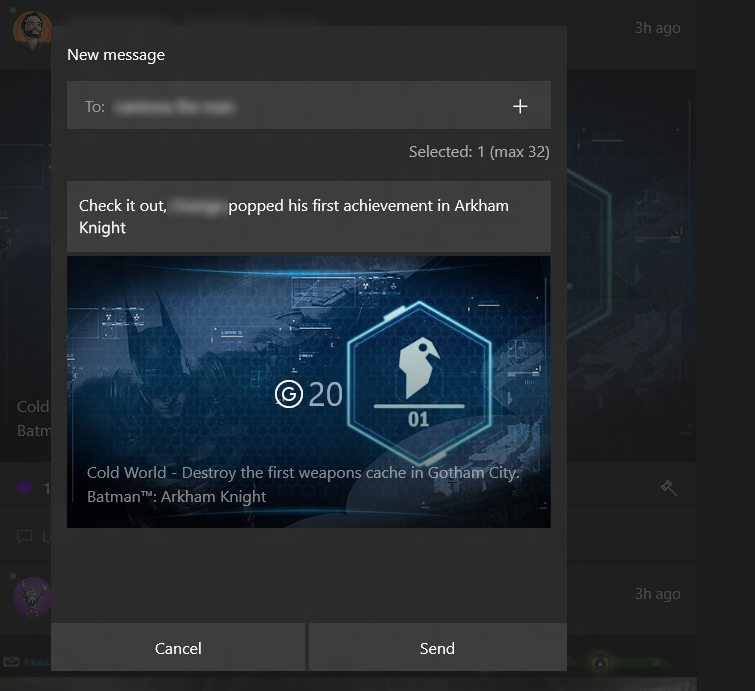 The Activity feed lets you see and comment on your friends' recent achievements and game clips. 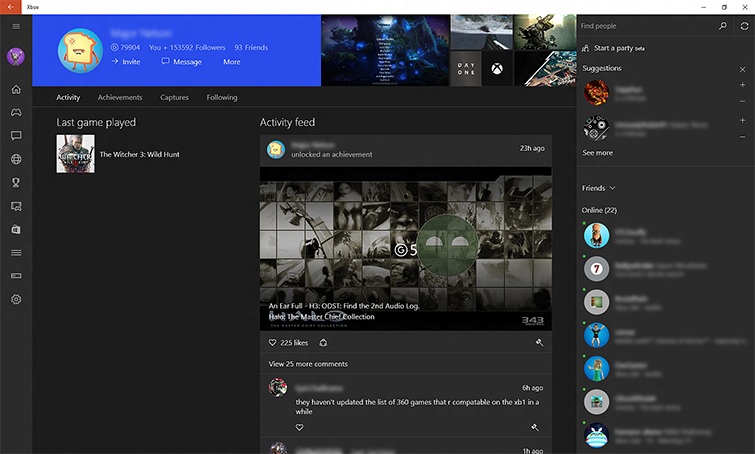 You can see the recent activities of all your friends through the Activity feed on the Home screen of the Xbox app, or you can see the activity timeline of just one of your friends on their profile page. When you open the Xbox app, the first screen you see is the Home screen. Home allows you to quickly see what's been going on with your friends since you last signed in. 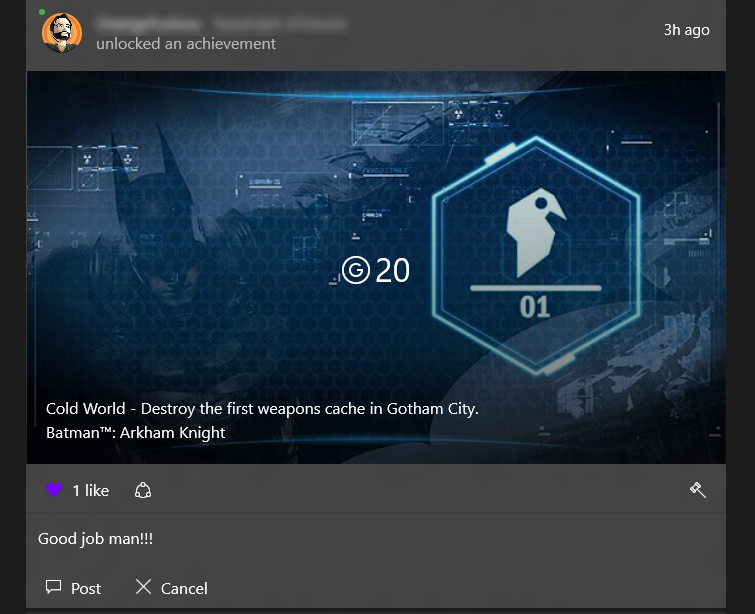 By reviewing the Activity feed on the Home screen, you can see and comment on your friends' recent achievements and game clips. To find out how to interact with a friend's posts, see the following icons. Select the Heart icon to "like" a post. 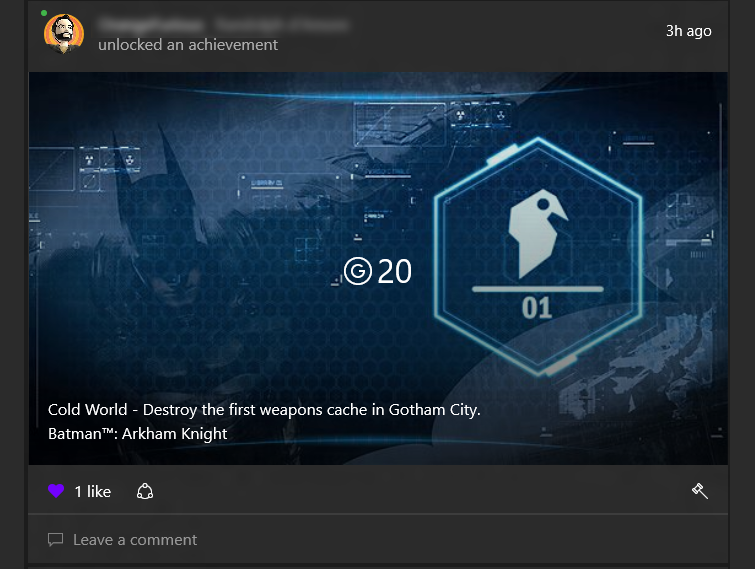 Show support for your friends when they unlock an achievement, or like a game clip to let them know you enjoyed it. To Share someone's activity on either your Activity feed or in a message you send to others, select the icon of a circle with three small circles on it. Use the Leave a comment box to type a message for anyone who views your friend's Activity feed to see. Select the Gavel icon in the lower right-hand corner of any post to report an inappropriate or abusive post. To catch up on a specific friend's Activity feed, you can search for the friend or choose them from your friends list and double-click their gamertag to open their profile page. From their profile, you can look at the Activity feed and see what they've been up to since you last visited their profile. 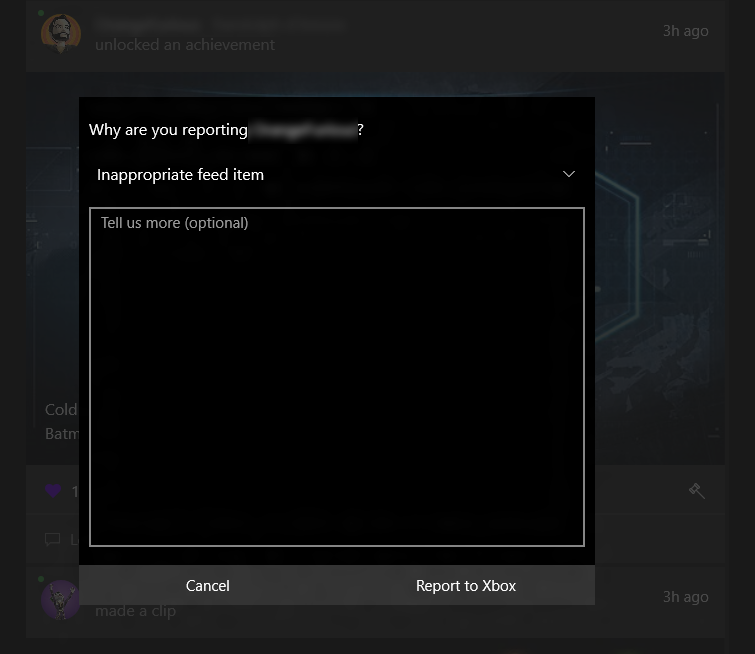 Would you like to contact Support regarding the "How to view your friends' activity in the Xbox app on Windows 10" issue you were reading about or a different issue?